After a sumptuous lunch at Mara Serena, I was looking out into the Mara Savannah from the comfort of the verandah in my room. The uniqueness of Mara Serena is that it is the only resort to be situated within the Mara Triangle, on top of a hillock. And every room provides a spectacular view of the Maasai Mara National Park. 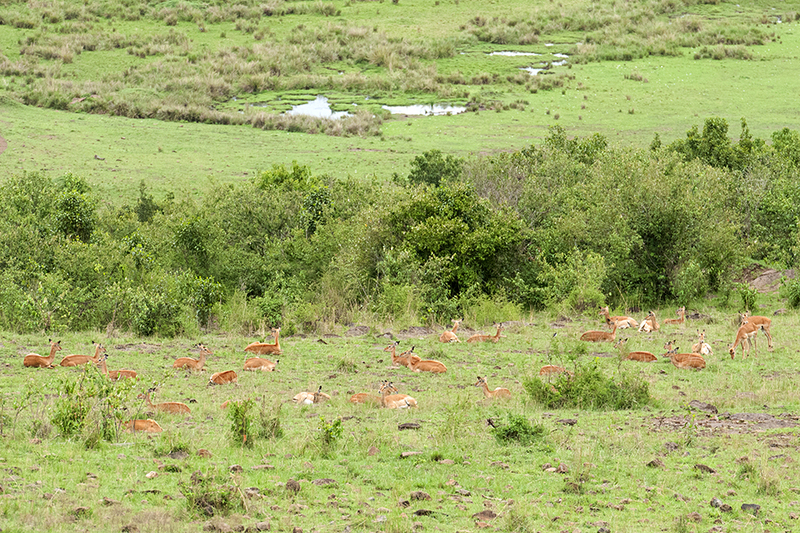 I noticed a large herd of Impalas (below) grazing near the waterhole situated close to the Mara Serena boundary. 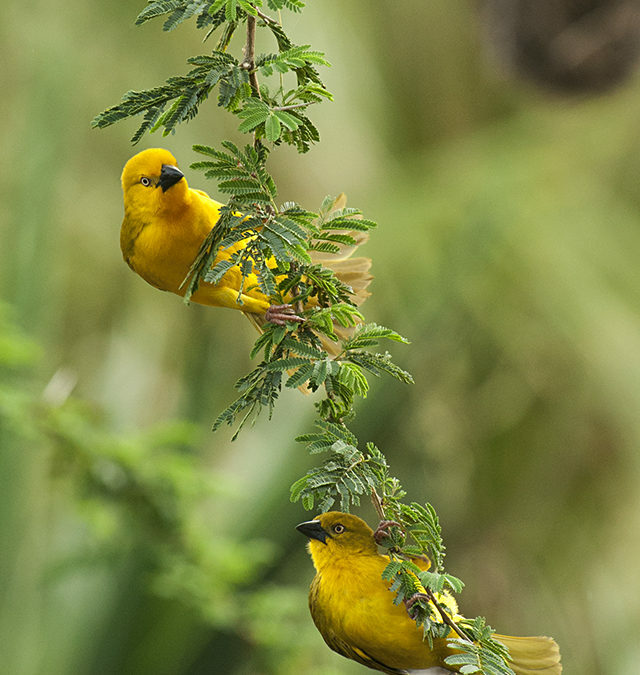 This post is dedicated to the birds and animals that frequent the Mara Serena property. After I took the picture of the relaxing Impala herd, I just sat there enjoying the stunning views of the Maasai Mara landscape. 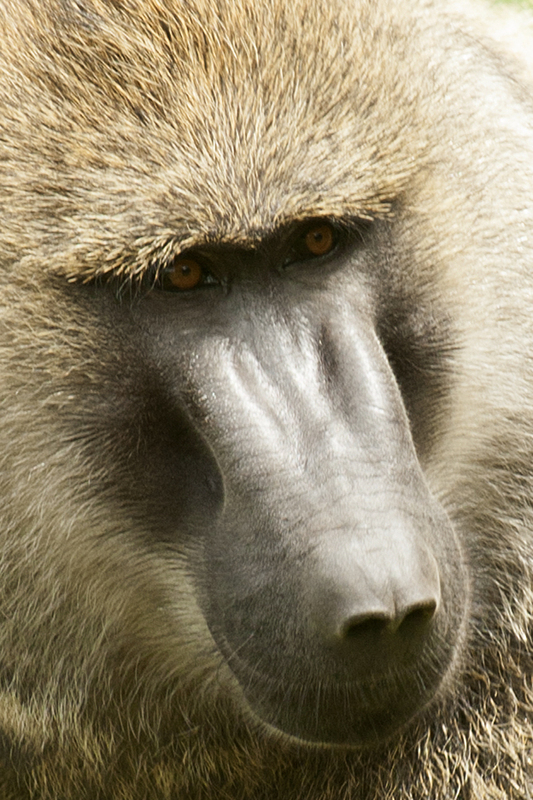 I spotted this Olive Baboon slowly approaching the rooms. 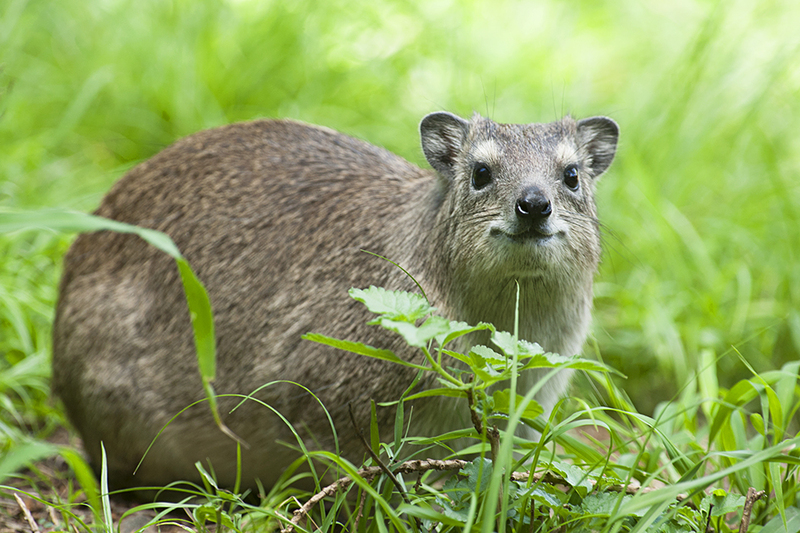 I quickly focussed my camera on him and took a closeup just before he noticed me and disappeared into the wilderness. 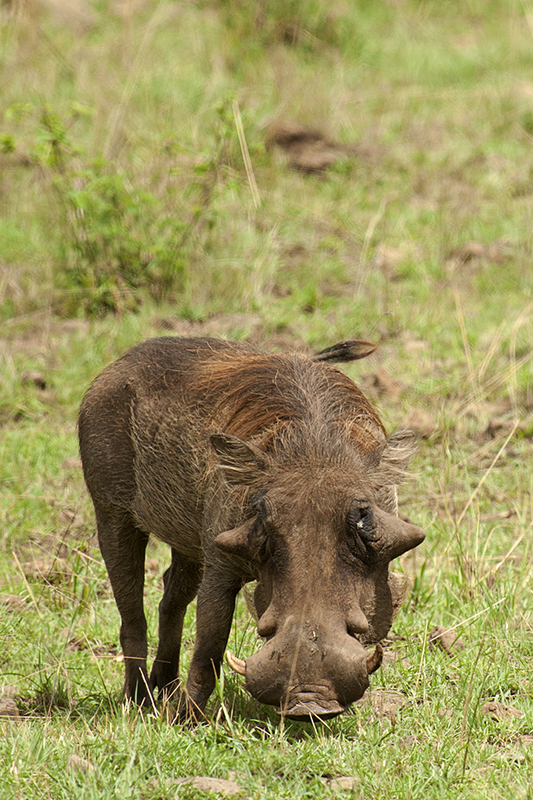 After a few minutes of waiting, a Warthog emerged from the waterhole, situated close to the lodge boundary. I kept my camera trained on him as he came closer and closer while foraging and got this image before he too scooted away. 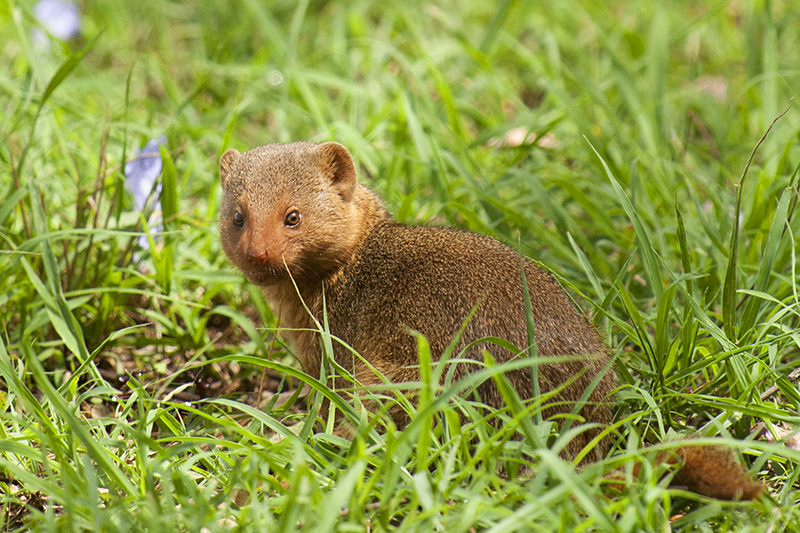 As the afternoon sun got hotter, a pack of Dwarf Mongoose came into the open and a few of them came close to my room. I got a picture of one of them who got curious about my camera and kept staring at it for a few seconds. 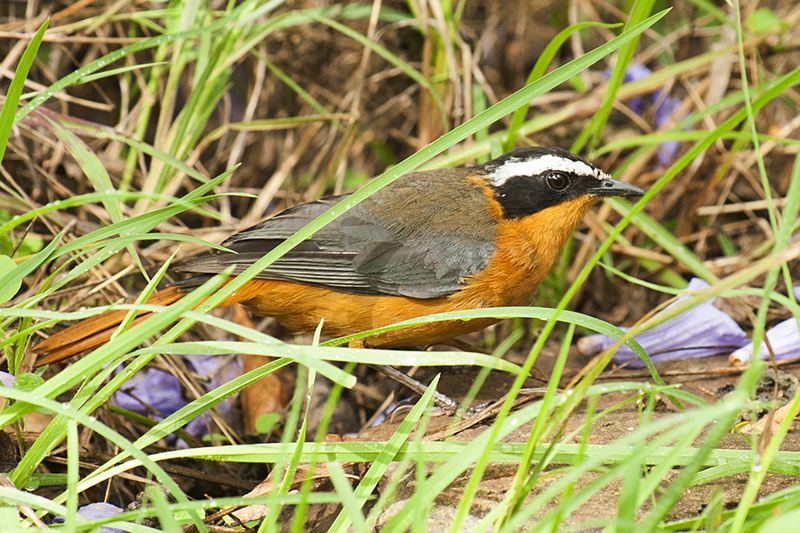 After the Dwarf Mongoose disappeared, it was the turn of a White Browed Robin-Chat that came foraging close to the room and I got a decent picture of it. As we waited for lunch on the last day of our stay, I remembered that I hadn’t taken pictures of the amazing Rock Hiraxes that are found at the Mara Serena. I didn’t have to look for long before I spotted one along the pathway to the rooms. Finally as I spent some time lazing in the afternoon sun after lunch, I noticed the Spectacled Weaver building its lovely nest on the acacia tree near the swimming pool. I clicked a few images, one of which is the feature image (first picture) of this post. 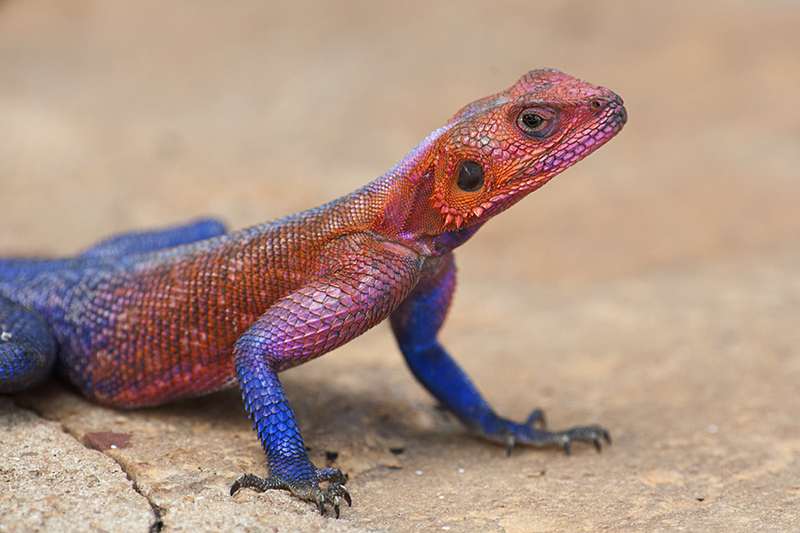 Not to mention the colorful Rock Agama that have made the area around the swimming pole their battleground for territorial displays.